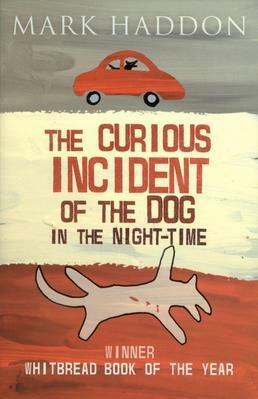 Despite a recent challenge due to profanity, Mark Haddon’s critically-acclaimed novel The Curious Incident of the Dog in the Night-Time will remain on a high school summer reading list in Lackawanna County, Pennsylvania. According to the Scranton Times-Tribune, a parent objected to the book at a recent school board meeting, but the district promptly responded that the book would not be removed from the list since it is not required reading and students are free to select another book. When it was published in 2004, Curious Incident received much critical praise and was chosen by the Young Adult Library Services Association as one of that year’s Best Books for Young Adults. This is not the first time it’s met with controversy, however. In 2006 the mayor of Friendswood, Texas recommended it for “teens to seniors” as part of a countywide reading program but five days later revoked the recommendation “for our younger readers.” He also asked the town library board to reconsider having the book in the collection at all. News reports do not indicate what happened next, but happily the attempted ban seems to have been unsuccessful — today the Friendswood Public Library offers Curious Incident in print, on CD, and as an ebook. Please help support CBLDF’s important First Amendment work by making a donation or becoming a member of the CBLDF! Maren Williams is a reference librarian who enjoys free speech and rescue dogs.